It’s that time again with our usual quick round-up article post on distributor Anime Limited. A fair amount has happened since the last update so here we go! To celebrate the Christmas season the folks at Anime Limited have done another podcast episode that covers their favourite events of the year, a Love Live! Sunshine quiz and also answering a fair amount of questions. You can listen to the podcast here. There is currently no official list for the titles that are no longer with Anime Limited in terms of the Crunchyroll x Funimation partnership. The reason is because they are waiting for full confirmation on what exactly they have from the deal, but they did mention that they intend to put one out hopefully in 2018. 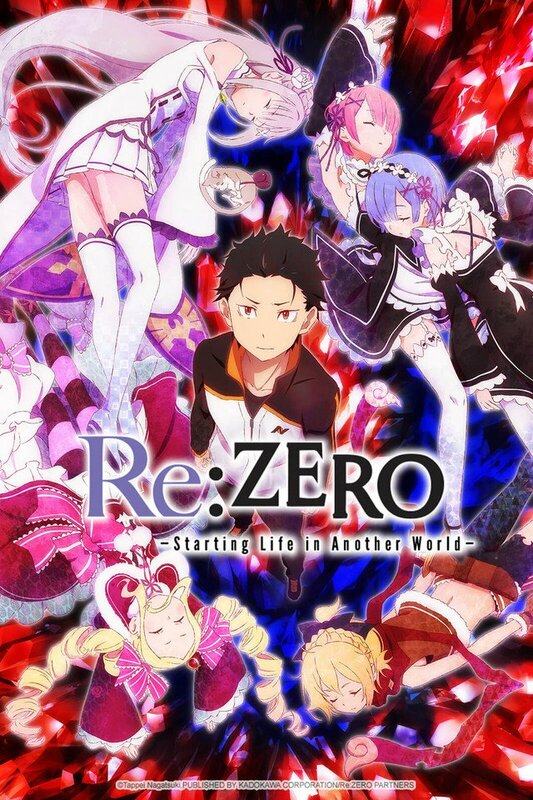 Re:ZERO -Starting Life in Another World- is confirmed to be fine at least, with plans for a potential Q2 2018 release for the first half of the series. They’re also waiting for the English dub to be scheduled in North America. You can watch Re:ZERO on Crunchyroll. High School Fleet is currently mentioned for a potential 2018 release. The Spring 2016 show is one of Aniplex’s titles so in terms of when it will get released you won’t expect it for quite some time. Now we are speculating that Aniplex of America may be waiting on clearance to get the OVA episodes released back in March & May 2017 before releasing the series on Blu-ray, however there is currently no word if Aniplex will even bother bringing the series on home video at all at the time of this article. You can check out High School Fleet over on Crunchyroll. Don’t expect any sort of release with regards to the Hell Girl series from Anime Limited, as the show sold poorly during its initial release. It’s also worth noting that Hell Girl is an Aniplex title so the licensing would probably be even more problematic. In North America, Funimation released the first season while Sentai released the second & third seasons, all three seasons are now out of print. Aniplex of America have the rights to the fourth season (which is available on Crunchyroll). Thanks to Amazon, Crunchyroll, Funimation, and Netflix, the prices for anime are apparently 10-20 times larger than distributors would normally pay for (this mention was in response to the Hell Girl question, plus they also brought up that Red Garden from MVM sold really poorly at first). Anime Limited have expressed interest in rescuing titles from the ADV Films / Revelation Films era. In fact they have rescued three titles from ADV currently scheduled for Q1 2018; Chrono Crusade, Kino’s Journey, & Peacemaker Kurogane (we’ve added the streaming links to each title if you want a taste for each one!). While some folks might think the idea of rescuing titles from that era is pointless because of the US versions available, it’s worth pointing out that a number of titles Funimation had rescued from the ADV era are slowly going out of print – Excel Saga is one recent example. Riddle Story of Devil is just an ‘Amazon delist’ and not a cancellation for those wondering. 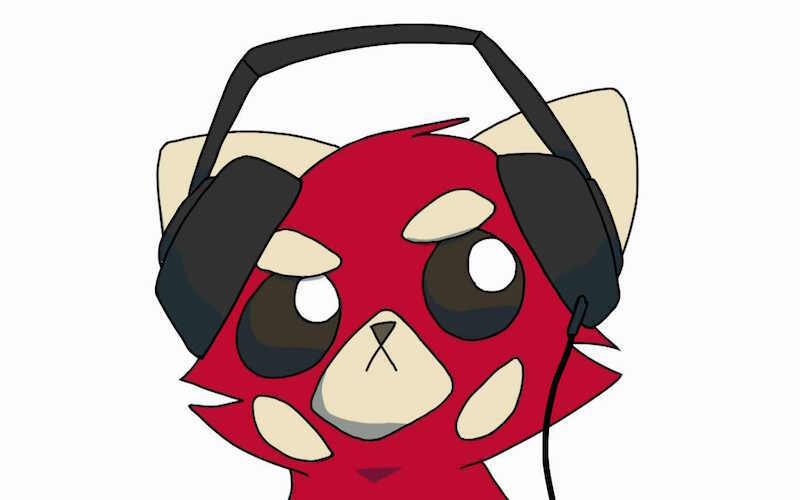 You can watch the show on Crunchyroll. The idea of rescuing or licensing older titles like Inuyasha or Yu Yu Hakusho is down to demand in terms of whether they would like to go after them or not. Aniplex titles March comes in like a Lion (Season 1) and Silver Spoon are currently being worked on in terms of home video for the UK, you can watch both shows on Crunchyroll here and here. Sword Art Online the Movie -Ordinal Scale- is set for Early 2018. It’s time for another update on the stock for our favourite things – the collector’s editions. 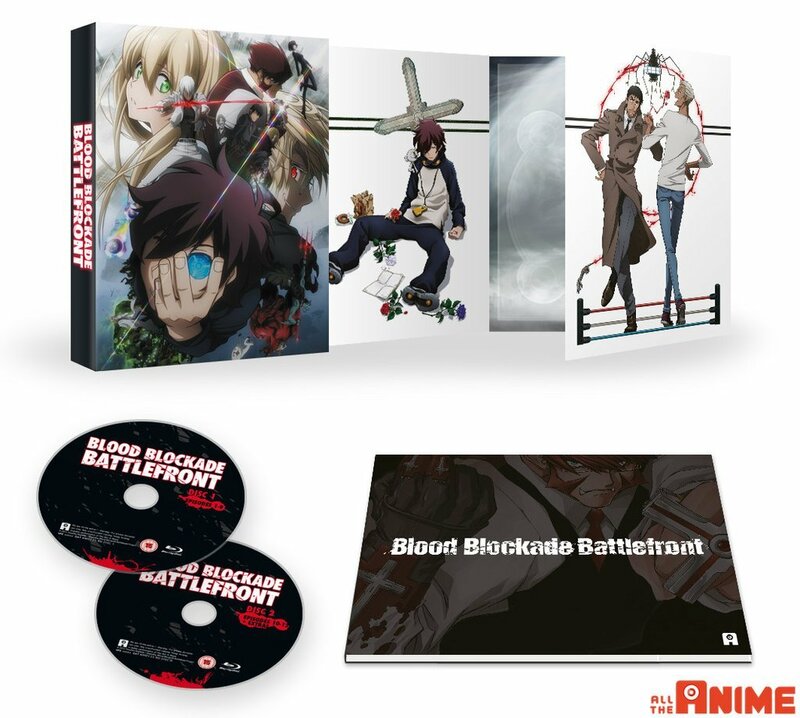 So, completely out of nowhere, the popular series Blood Blockade Battlefront just sold out on all of the stock for the collector’s edition so it is now out of print with no plans for any reprints of that specific edition (a standard edition should follow at some point). 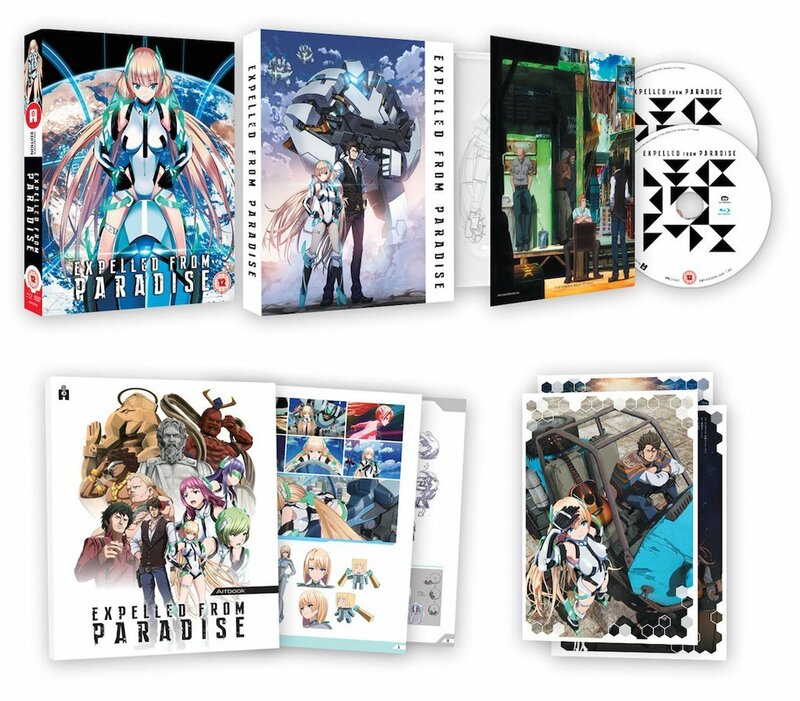 In addition the CG film Expelled From Paradise also sold out on all of the stock during the end of the 12 Days of Christmas sale (we mentioned that it was under the ‘Soon to be OOP’ list for a couple of weeks) for the collector’s edition. Like BBB, a standard edition Blu-ray should follow at some point. And finally (and I mean literally) the film HAL also went out of print. Literally this title has been under the ‘Soon to be OOP’ list for probably half a year now. Apparently a number of customers had to receive cancellations due to stock going missing during the 12 Days of Christmas sale which may explain the sudden OOP notice. Now in case you haven’t been paying any attention to Anime Limited’s social media, there were some unexpected delays for the shipment on select titles from the 12 Days of Christmas sale. Most notably Days 9 & 11. Day 9 did eventually have select titles dispatched and Day 11’s Noein also for the fans, but the rest are not expected to be shipped out until as soon as around January 2nd when fulfilment is open. Day 12 mystery boxes did dispatch in-time for Christmas and a majority of the customers have received theirs, but we know that the local post office in various zones throughout the region have caused a fair bit of delay so not everyone had received it. Which is why we added a [SPOILER] tag for the Mystery Box Blu-ray article earlier in the week. In fact one of the titles had to be switched with another due to stock issues. And that is it for the latest update from the distributor. Don’t forget you can now pre-order some of the newer additions to the Q1 2018 schedule on Amazon UK. That’s it from us and hope you all have a Merry Christmas! Recently we discovered Amazon had posted new listings for distributor Anime Limited for their planned release slate between October and December 2017. Let’s take a look in greater detail! Here’s a recap of all of the Anime Limited news that’s cropped up over the past couple of weeks of 2018. Re:ZERO, Wolf’s Rain and more Hyouka joins the next Anime Limited release slate.